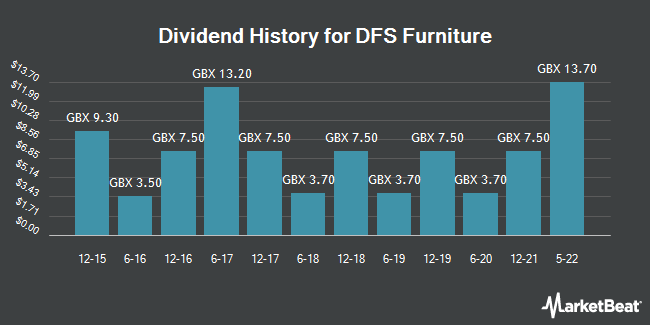 DFS Furniture pays an annual dividend of GBX 0.11 per share, with a dividend yield of 0.04%. DFS's next dividend payment will be made to shareholders of record on Wednesday, June 19. DFS Furniture pays out 1.24% of its earnings out as a dividend.